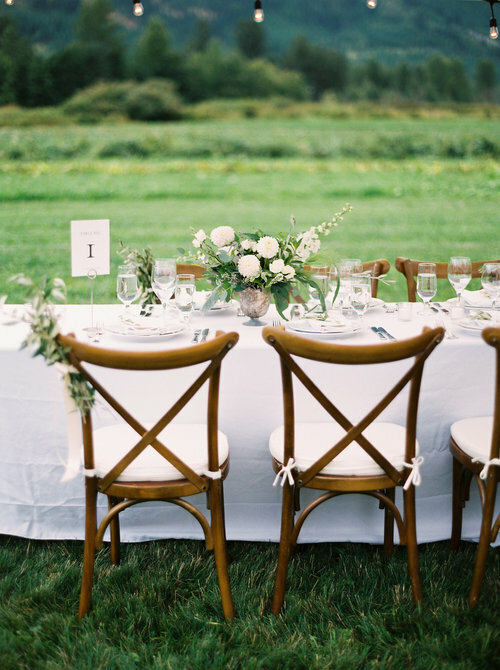 Blue Violet Events is a boutique event planning & design company nestled in the mountains of Whistler, BC. Specializing in intimate weddings, elopements & events, fresh florals & calligraphy - we bring personality & care to every occasion. We pride ourselves on being personable, creative, and strategic with details and design. Oh, and we can manage budgets too! From floral design for the perfect ceremony arch, to hand lettered custom signage, to the logistics required for your mountain top elopement - we adore what we do. Whether you're considering a ceremony in the woods, a reception in a barn, or an elegant art gallery soiree...We are here to help you create the perfect vision, and plan every finite detail required to bring the vision into a flawless reality. With ease, mindfulness, and grace. Run away together, get married in the mountains… just the two of you. Hi! We're Robyn & Cailey. We live and breathe to create and explore beauty around every corner, and to help you tell a beautiful tale of your own. Telling your story, creating your vision, helping you celebrate with ease in the process and joy on the day...that's what our little company (with big heart) is all about. Our hearts are centred around creating authentic occasions that portray little pieces of who you are as individuals, as well as a couple. We make every detail of your event resonate with who YOU are by listening to your wants and acting on your behalf. We bring your families & friends together in an inspiring environment to create memories fond enough to last an entire lifetime - that's what we do. You see, we are all about you. Want to see some of our latest work & current inspiration? Follow us on Instagram. executing your vision with grace and refinement. creating the magic that exists between timelines and logistics.